Fortune Cookies Are a Unique Fundraising Idea! If you’re looking for something new and different for your Spring fundraising campaign…here it is! 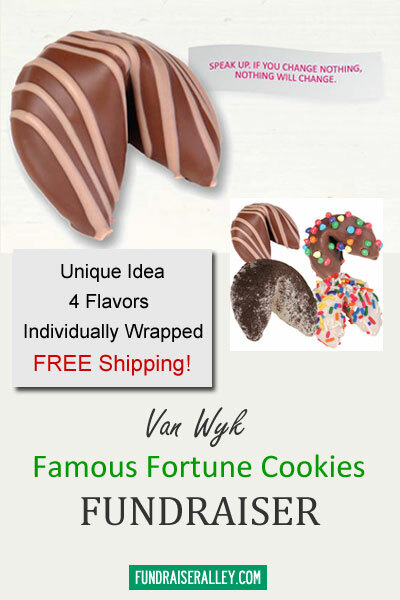 Famous Fortune Cookies, another great product by Van Wyk, have never before been offered as a fundraising product. Customers will love your unique product! And, who can resist a fortune cookie, with it’s fun message inside? 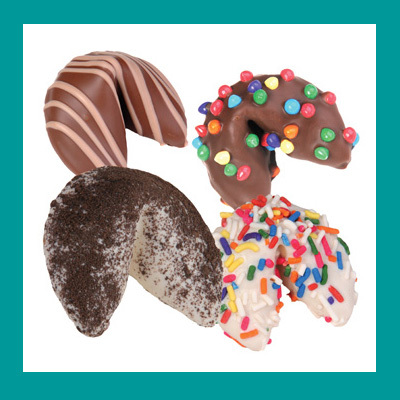 And, these aren’t your ordinary plain fortune cookie…these are in different flavors, including Birthday Cake, Chocolate Bites, Cookies & Cream, and Salted Caramel. Fortune Cookies are individually wrapped and come in a handy carrier case that looks like a take-out box. Each carrier has 60 wrapped cookies, 4 carriers per case. Shipping is FREE! Sell fortune cookies for only $1 each. You will earn from 40% to 50% profit. Price per case decreases with the number of cases ordered, meaning your net profit will increase if you order more cases. Order at least one carrier kit per participant. There are 4 carriers in each case. If you are close to the next level, we recommend that you order high to take advantage of the lower cost per case. The selling price is only $1, you won’t have any trouble making sales. 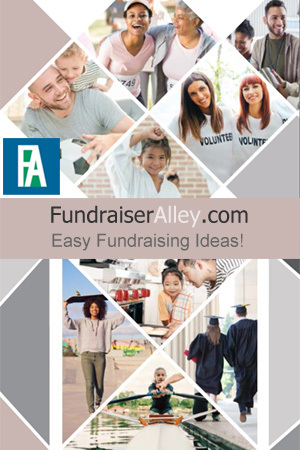 This is a new and unique fundraising idea for schools, sports teams, or clubs. 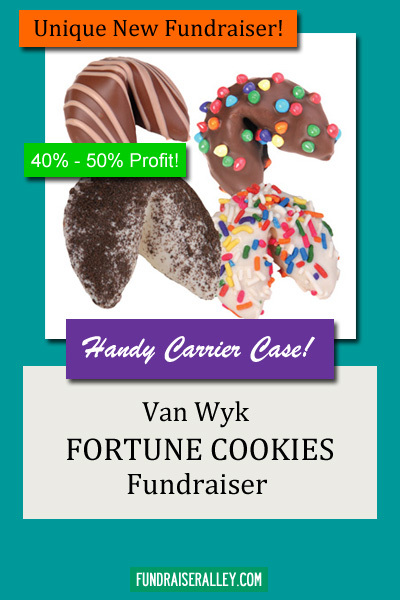 These yummy fortune cookies by the popular Van Wyk and will be a big hit! Sell at school stores and concession stands.